It’s true! April 21st – April 29th, 2012 is FREE National Park Week. Casa Escondida Bed and Breakfast is located in historic Chimayo, New Mexico. 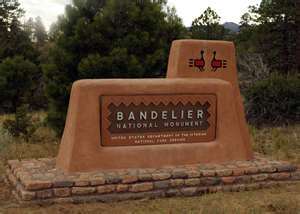 In only 40 minutes travel time from Casa Escondida B&B, you will find Bandelier National Monument. 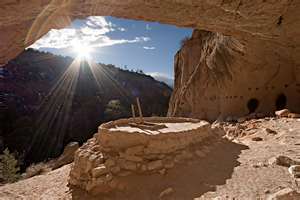 Bandelier protects over 33,000 acres of beautiful canyon and mesa country. It also hosts ancient ruins, petroglyphs and abundant wildlife. This is just one of the many National Parks that you can visit for free during this week. While a guest at our Santa Fe area bed and breakfast, we invite you to explore the natural beauty, rich history and diverse culture of northern New Mexico. 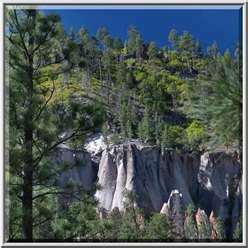 Bandelier, Capulin Volcano and Fort Union are New Mexico National Monuments that are all delightful daytrips from Casa Escondida B&B. 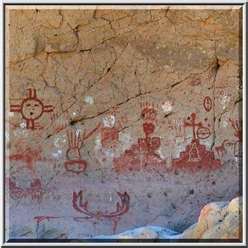 In addition to the National Monuments of New Mexico, there are also National Historical Parks like Pecos and Chaco Culture. You can visit all of these sites and more during Free National Park Week, without paying a single entry fee. Many park-related restaurants, gift shops and tour operators will offer specials during the fee-free days as well. So reserve your stay at Casa Escondida B&B now. We are happy to assist you in planning your Free National Park Week adventure here in northern New Mexico!